Came across this in a manufactured home fire recently, and although it did not appear to be the origin of the fire, it looks like it could have been next in line for one. 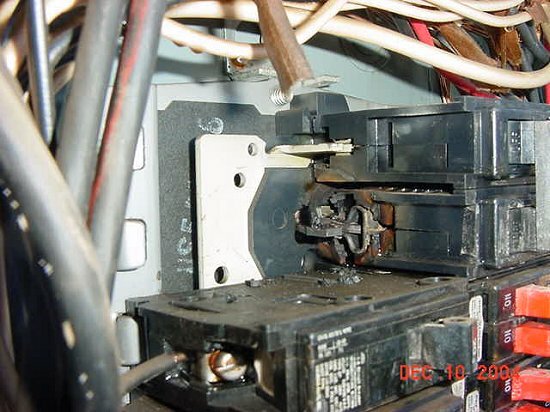 Were there other breakers to the left of the burned one? What condition were they in? And the top breaker on the left side looks like some more melting is happening in the screw area. Thermostat pic: Was this the point of origin? I've heard of a few LV t'stats causing fires. If not, what was the cause of the fire? 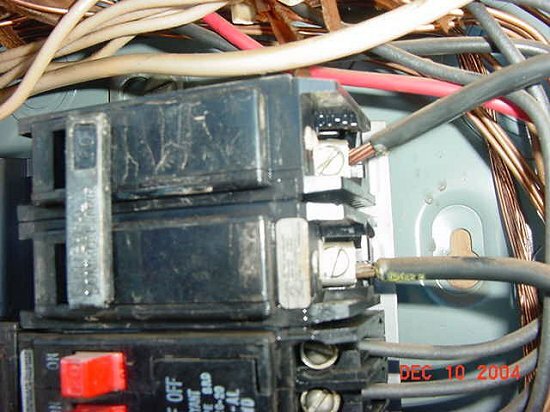 Mxslick: No breakers were installed to the left side of the AC breakers. The panel cover was intact and in place, and the knockouts were not disturbed. 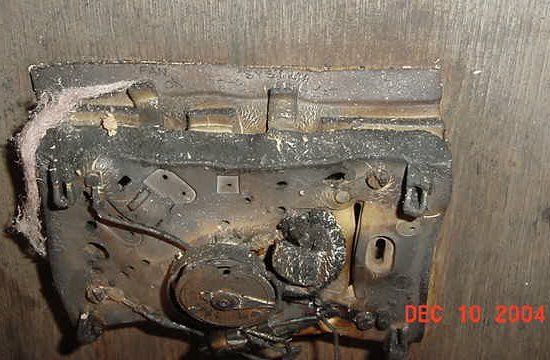 The thermostat was not the cause, that photo was just to confirm that the settings were in the off position. Cause appeared to be a flammable liquid spill. As my aunt used to say "it appeared to be Arsenic." It was still in the process of investigation at the time I left the scene.